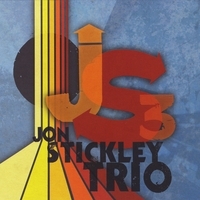 The Stickley Trio’s first album is an upbeat, bluegrassy, acoustic project, that features Lyndsay Pruett on violin and Mike Ashworth (Steep Canyon Rangers) on drums. Special guests include Andy Thorn (Leftover Salmon) on banjo and Bobby Britt (Town Mountain) on fiddle. The tracks range from original arrangements of traditional fiddle tunes to the more experimental types of songs that the Stickley Trio has become known for. This is an album download in mp3 format.